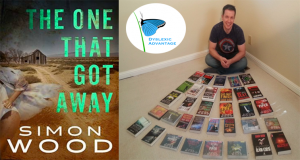 “When I was 6 and starting to pick books for myself, that’s when I found out I wasn’t a great reader and that it had a name…the words got jumbled up…dyslexia! I didn’t like reading, and then I was introduced to Encyclopedia Brown, my first boy friend…” – Octavia Spencer, Academy Award winning actress. Imagine this. You’re a student in a creative writing class, and you submit a story to your teacher.